• Ultra high strength RocketSteel supplied by Carpenter creates a thinner face and faster ball speeds. 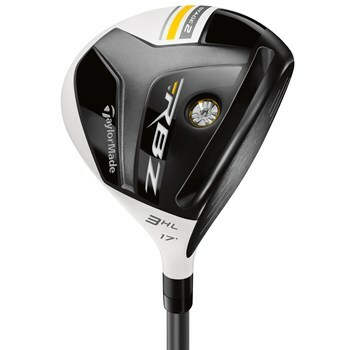 • Improved Speed Pocket design flexes faster for more distance. • Lower and forward CG location promotes a higher launch with low spin for maximum carry. • Shallow face and lower head profile for greater playability. • Thick and Thin Crown design saves weight to be redistributed elsewhere in the clubhead to improve CG location. • Black clubface, non-glare white crown and new crown graphic for easy alignment.